Despite having this challenge well and truly completed weeks ago, I am late posting as my new job training has me working every given hour and the rest of time is dedicated to sleep! Anyway…this challenge was great fun, I really enjoyed it. 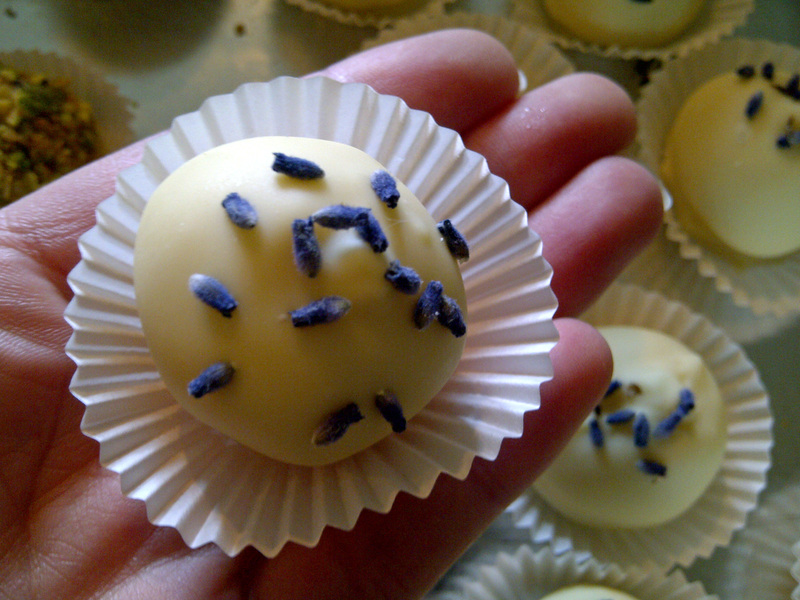 I attempted to temper white chocolate using the seeding method, whether I did it right I have no idea, but I will definitely keep practising! You can of course dip the truffles in regular melted chocolate! 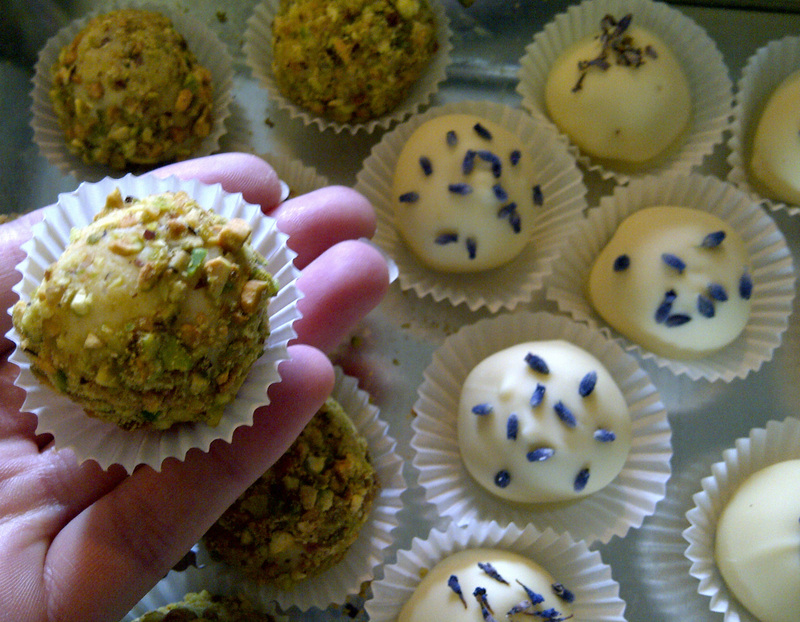 I made two kinds of white chocolate truffle one flavoured with fresh lavender, dipped in white chocolate and topped with fresh lavender buds and one flavoured with cardamom and nutmeg and rolled in crushed pistachios. These are flavour combinations totally new to me but they really worked and I really enjoyed being adventurous with flavours and departing from the ‘ordinary’. 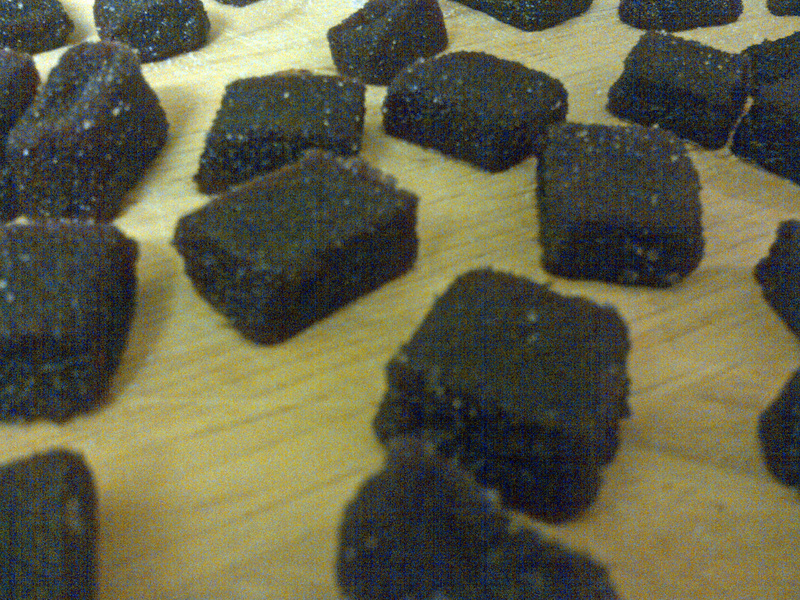 I made summer fruit and passionfruit pastilles which had a lovely flavour but be sure to use sugar with pectin to get them to set properly. 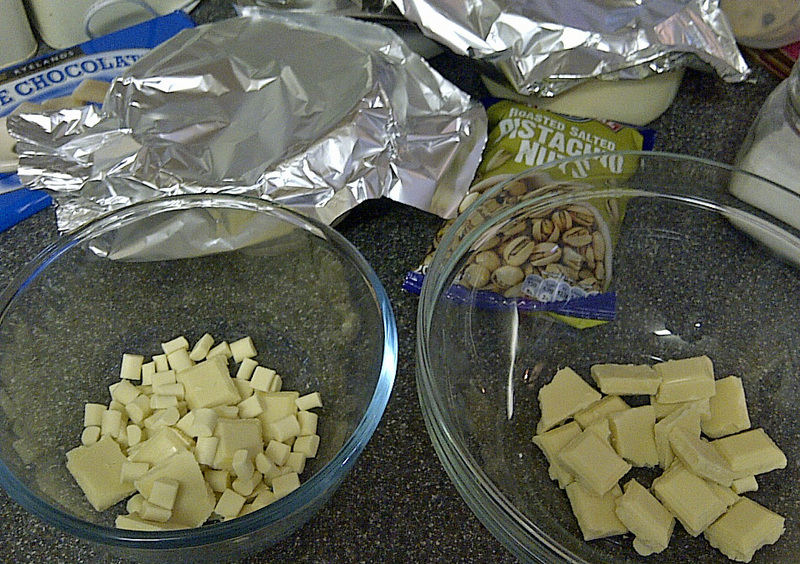 You can use the full amounts listed above for white chocolate truffles or split the ingredients to make two flavours. 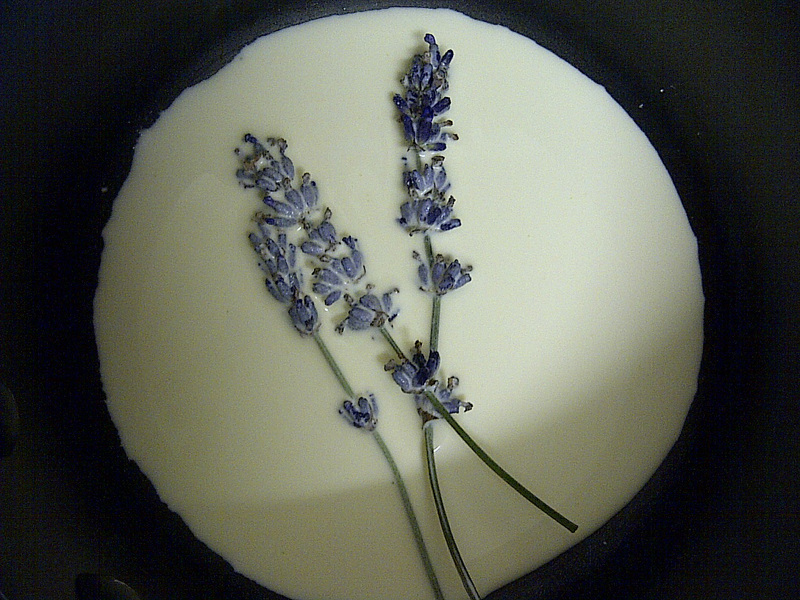 Follow the method above, however, add 3 whole sprigs of lavender when heating the cream. 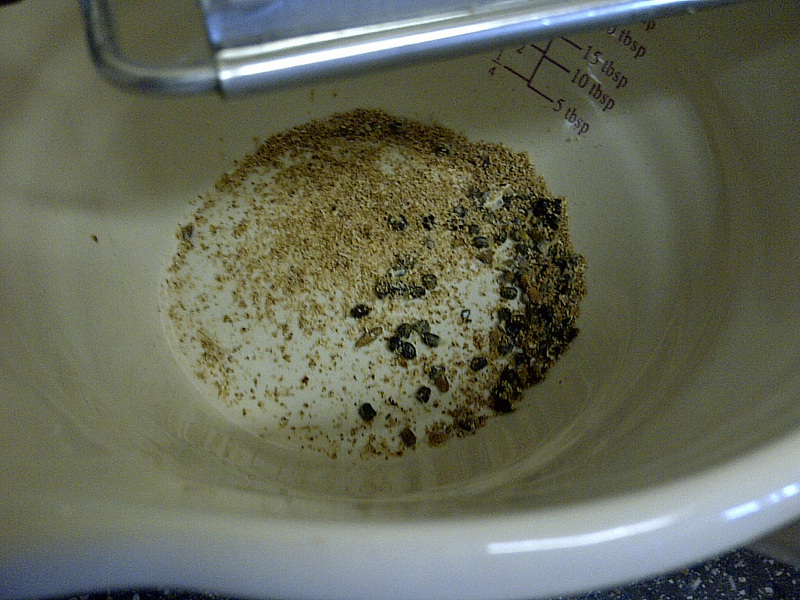 When nearly boiling, remove from the heat, cover with foil or a lid and leave to infuse for an hour before reheating to almost boiling ready to add to the chocolate. 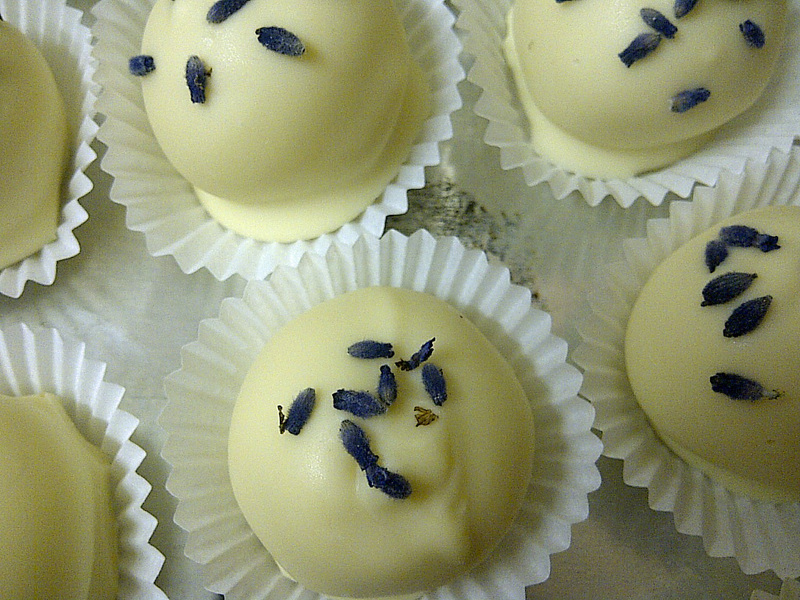 After the balls have been refrigerated, dip in tampered or melted white chocolate, plate on non stick paper to set and top with tiny buds of lavender, allow to set and refrigerate to keep for more than a day. 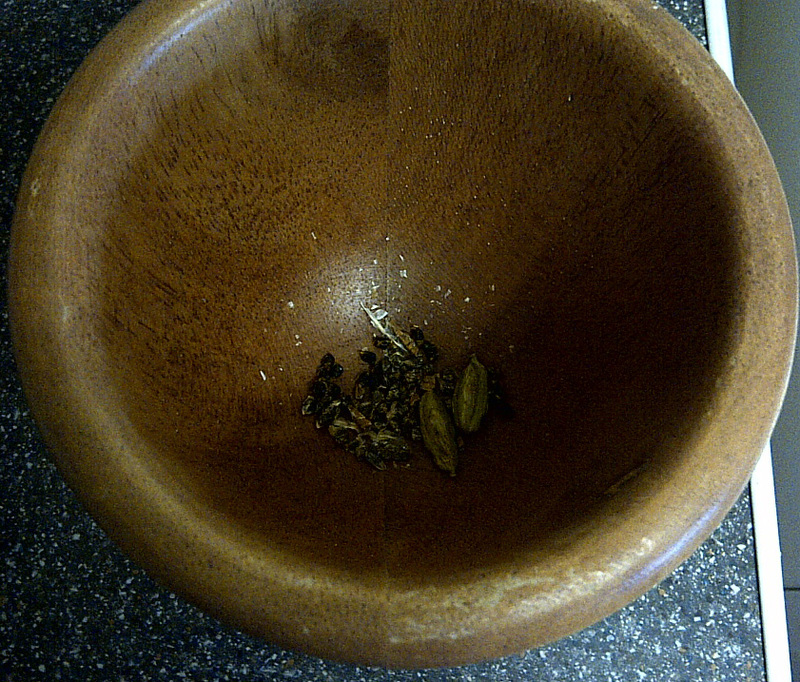 Refer to both methods above, however, crush together the cardamom and nutmeg in a pestle and mortar or similar to release and crush the seeds. 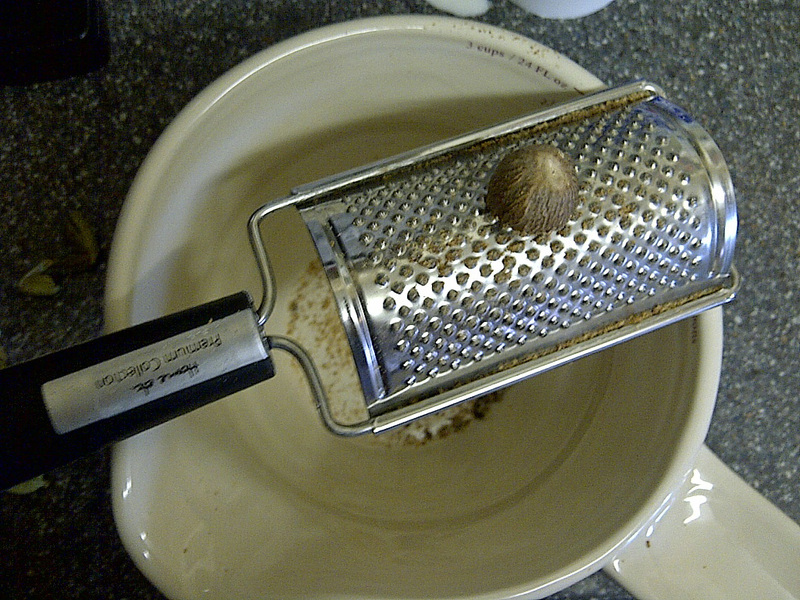 Remove the pods and add to the pan. 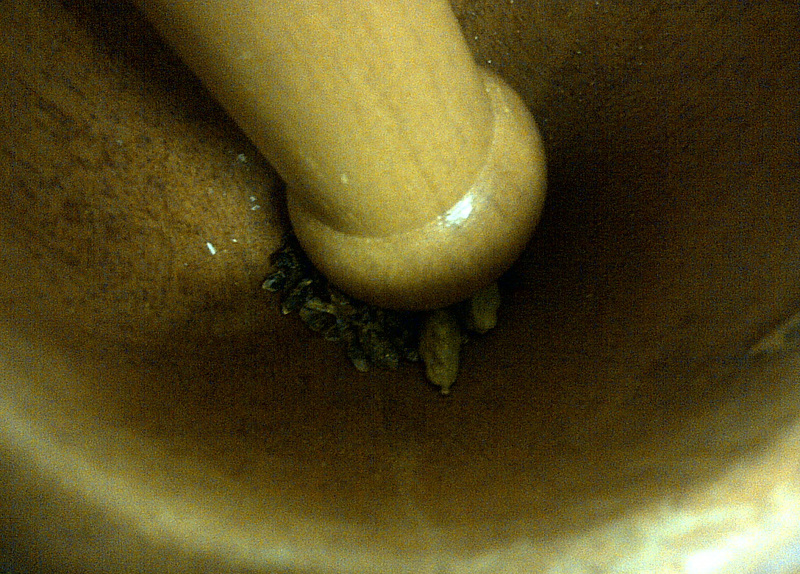 Infuse the cream with the nutmeg and cardamom as for the lavender. 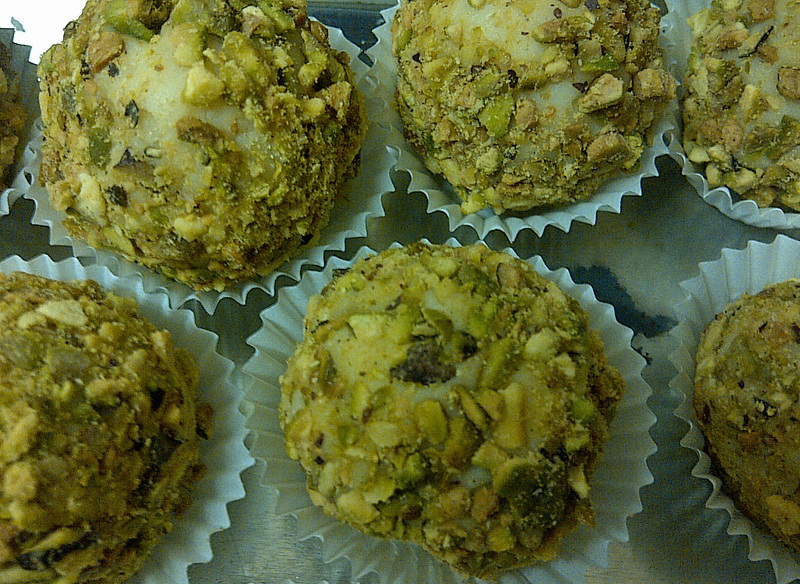 After rolling the truffles, immediately roll in crushed pistachios before refrigerating. 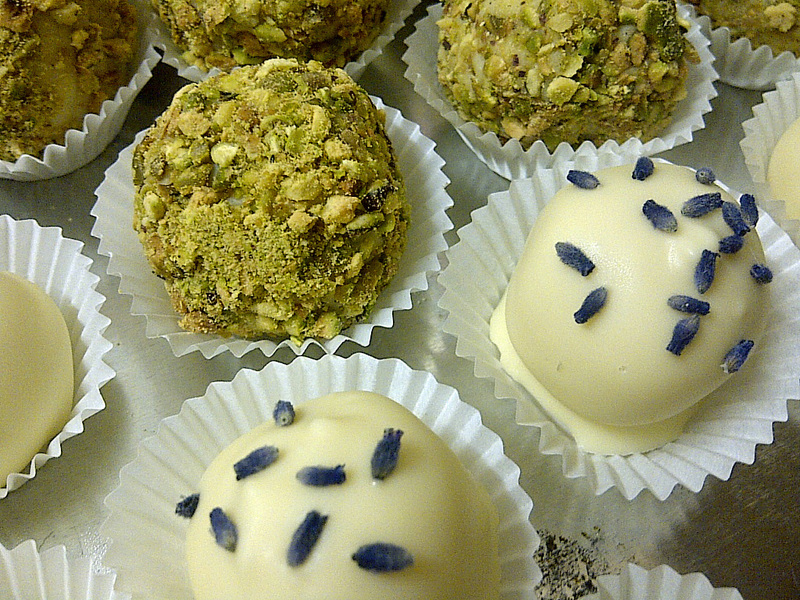 Refrigerate before rolling if the truffles are too soft. 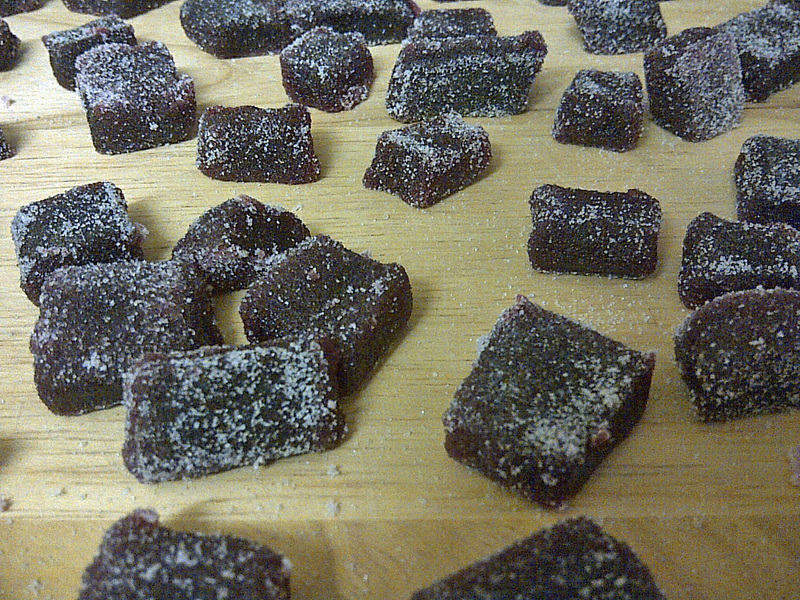 For the pastilles, see here.. This entry was posted in Chocolate, Daring Bakers, Egg-free, Fruit, vegan and tagged chocolate, dairy free, daring bakers, daring kitchen, egg-free, pastilles, truffles, vegan, vegetarian. Bookmark the permalink. 2 Responses to Truffles and Candy! These look so yummy! 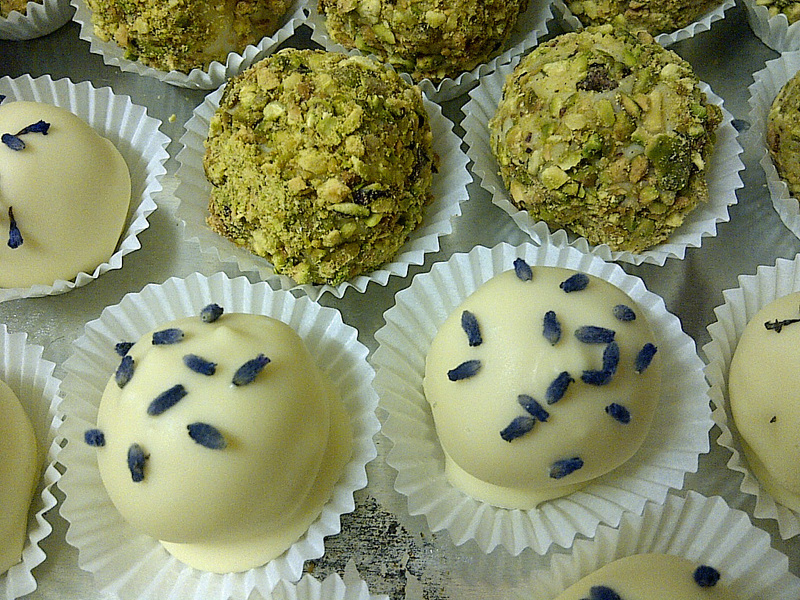 I think I’ll try my hand at a batch this weekend, although I tend to have bad luck with white chocolate!